One of the questions we hear quite a lot about swimming pools is how long it will take to heat the water so it is ready to be used. That’s pretty understandable when you think about it. After all, when you get the urge to have a swim you don’t want to have to wait for the water to heat up. Today, let’s take a look at how long it takes to properly heat a swimming pool and what you can do to make it heat more efficiently and quickly. Remember, every swimming pool is different and how efficiently you can heat your swimming pool and maintain that temperature can vary depending on where you live. First, let’s examine the ambient temperatures. Basically, that is the temperature where your swimming pool is located. The warmer it is outside, the less time it will take it to heat. For example, if it is 26 degrees celcius outside and you want to heat your swimming pool to 32 degrees, it will take your swimming approximately 8 hours to reach its temperature. You can decrease that time if you keep your swimming pool cover on while it heats. Just like in your home, most of the heat is lost from your hot tub from the top. So, keeping the cover in place will allow it to heat much more efficiently. Last, we need to talk about the components of your swimming pool. 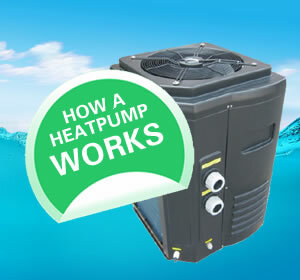 These include the condition of your cover and even the heater, pump, jets, etc. If these components are all in tip top shape, your swimming pool will be able to heat the water much faster, but if one of these components is damaged or wearing out, it will take it much longer to reach its optimal temperature for use. There are several ways you can improve the efficiency of your swimming pool to reduce the time it takes to warm it up as well as save a little money on your energy costs while it runs. This cover not only keeps your swimming pool secure but also helps trap the heat inside your swimming pool. If your swimming pool cover is cracked or has holes, the heat has a place to escape. Keep your swimming pool cover cleaned and replace it when it begins to show signs of aging so keep as much heat inside your hot tub as possible.